People keep asking me when we're going to start printing again. Even some of my editors, despite my emails to the contrary. They're a bit anxious – and I get it. My sister thought Versal was historical and "over". Some at Seattle's AWP – I'm not naming names – thought "intermission" meant "hiatus" meant "dead". We go on like this too long and people will forget us (if they haven't already). Just another pile of spines to add to the dust that is the literary journal graveyard. Some have asked me to write about it. What it means for a journal to take a step back from everything, after over a decade of everything, before going forward on paper and ink and costs. And maybe I should write about it, except this "intermission" means to include me in it. A brief though perhaps not entirely silent period of (re)consideration: of editing, of the literary journal, and of Versal in it all. Sure, I have thoughts about it. Sometimes I think I even have radical and innovative thoughts about it. But so far, I've just wanted to keep most of that to myself. I've been enjoying the silence. But I'll break that silence now for just a second. Let you in on our intermission strategy. Launch a new website. Done. Pay off our debt. Done. Sell off our back issue stock. Not done. After over a decade of printing a literary journal, you're bound to end up with back stock. Some issues have sold better than others. Why in god's name we have so many copies of Versal 5 left confounds me. I mean, it's an amazing issue. And Versal 10? The gold edition? Why didn't y'all buy that? Well, I'm no sales & marketing genius, so my only guess is y'all don't like bees or gold. In any case, let this be the answer to the burning question of what the heck we're doing over here. We're selling the things we've made. We're going to markets and hosting events and donating copies to cafe reading corners. And: we're dropping prices. You can now have a Versal 11 or Versal 10 of your very own, for only €10 – and that includes shipping, my friend. And don't worry. 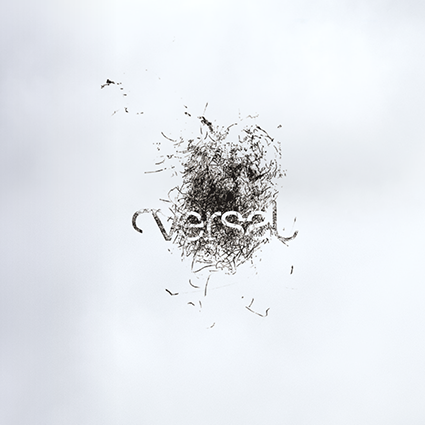 The world might be going to hell in a handbasket, but Versal will go down with it.